Visit us at truenorthcamps.com to learn about the other sports programs we offer! Courtney graduated from Western University with an Honours Business Administration degree from Ivey. She subsequently attended law school at the University of Toronto and practiced as a management-side employment lawyer on Bay Street for 3 years before joining our staff as the Executive Director. 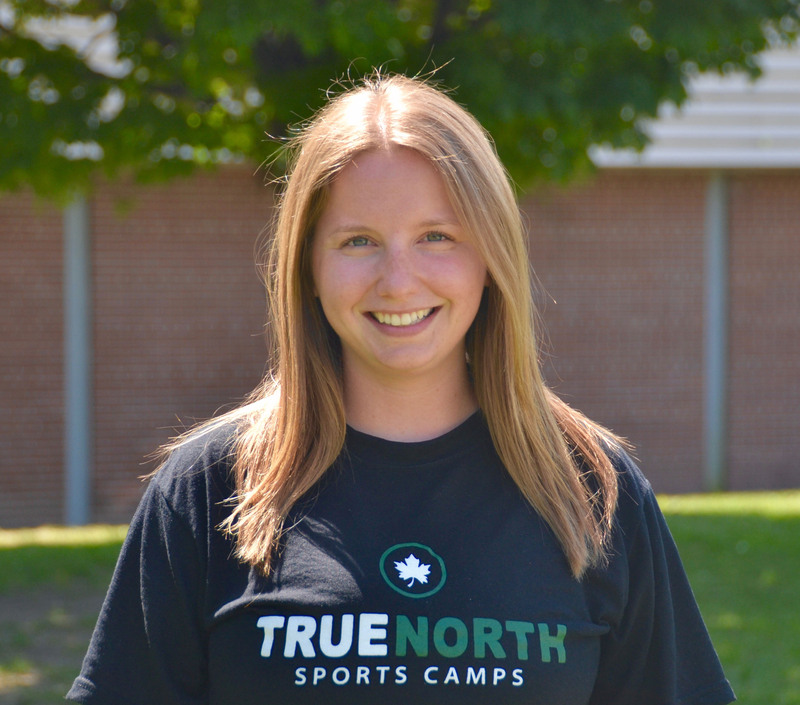 Courtney has been involved in True North Sports Camps for several years behind the scenes. She is responsible for overseeing the operations of the business, including hiring and training our staff, marketing, communications, finance and strategy. After having worked at a number of summer camps in the past and dedicated her free time volunteering with children, Courtney knows what it takes to create a memorable experience for each and every camper. As Director of Operations, Blake will be seen running year-round programs and ensuring that each and every camper has a fantastic experience. Blake completed the Sport Management program at Humber College, which led to him working at the Ontario Cycling Association. For the past three years, Blake has been the Assistant Manager of Mooredale Sports Club, where he was responsible for organizing and coordinating a wide range of sports leagues and competitive teams. Blake spoke as an alumni at Humber College's first ever Sport Management Leadership Summit; he plans to remain involved with the Summit going forward so that he can continue to share his experiences about working in the sports industry with the students. Blake loves to share his passion for sports, especially football and basketball! As the Assistant Director of Operations, Justin will be helping Blake with year-round programs and ensuring every camper has the best possible time. He has over 15 years of baseball playing experience, including playing for the Ontario Blue Jays and at the collegiate level in the US. As a freshman, he helped lead his Jefferson College team to a #2 NJCAA ranking and an appearance in the 2012 Junior College World Series. Justin completed his Sports Administration degree from Belhaven University, in Mississippi, that led him interning for the San Francisco 49ers and in the Stanford University Athletics Department. Justin loves to share his baseball experiences and help kids develop their skills on the diamond! Yoav is an elementary school teacher in Toronto and is a graduate of the MA in Child Study and Education program at the Ontario Institute for Studies in Education (UofT). 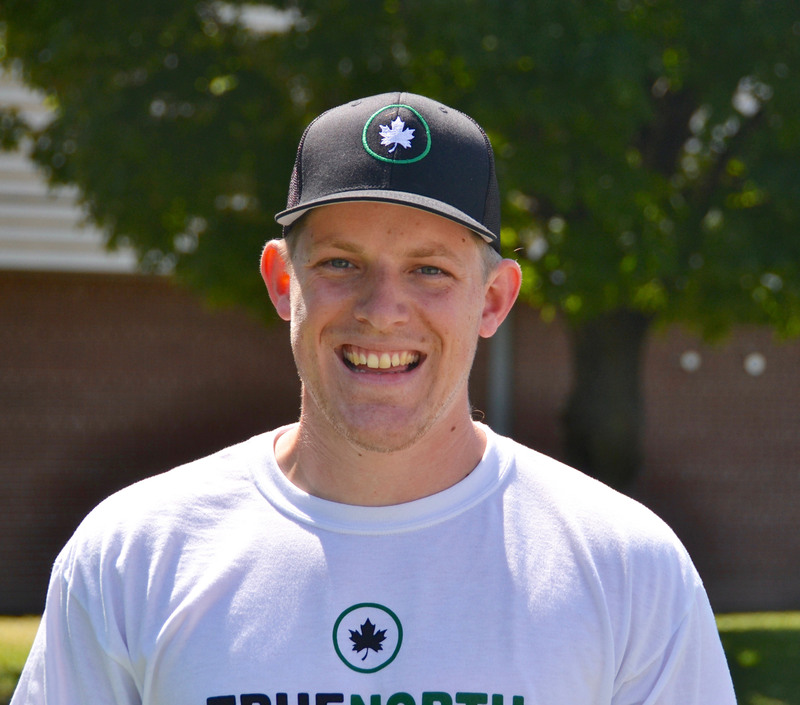 He has over 8 years of experience running sports programs in summer camps for children ages 2-15. 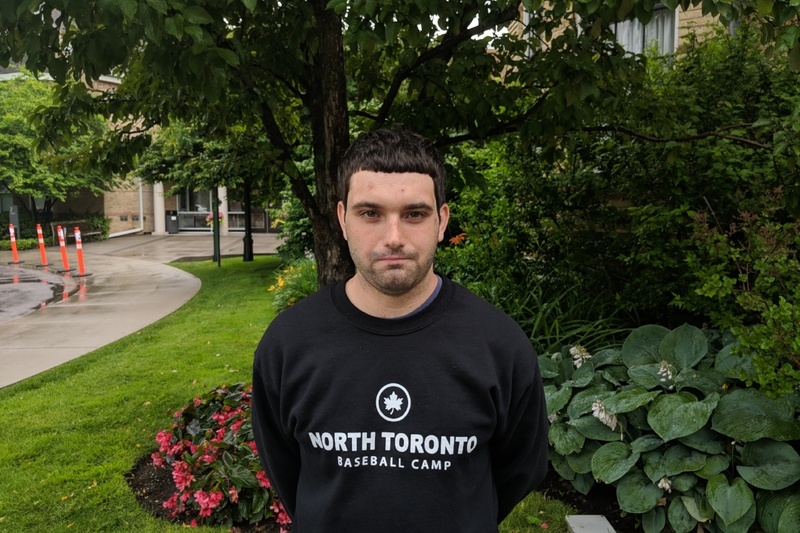 Yoav previously played AA and AAA baseball on a number of teams in the GTA, and was captain of William Lyon Mackenzie C.I.’s volleyball team, and championship baseball team in 2011. 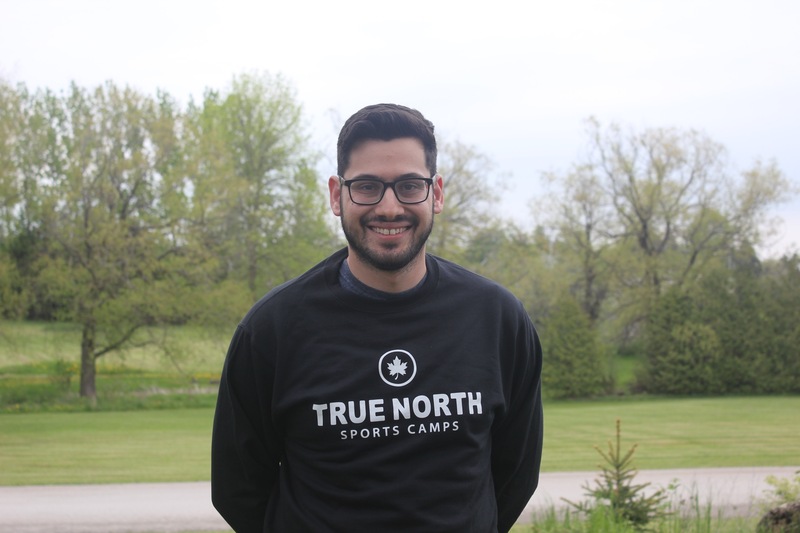 Yoav is excited to join the True North Sports Camps team and continue his passion for helping children develop their skills as athletes and as leaders. 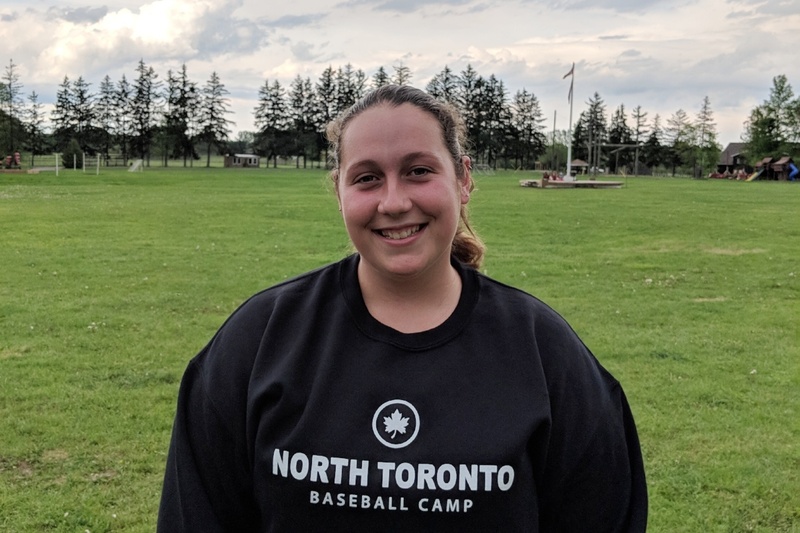 This is Ashley's 3rd summer working for North Toronto Baseball Camp. She is going into her second year at Lakehead University where she is studying Concurrent Education. Ashley has played softball competitively for 10 years and has won the Ontario Women's Softball Championship twice. Ashley has played softball for 3 years on Northern Secondary schools varsity girls team as well as played senior girls rugby for Northern. She is very excited to bring her love and knowledge of baseball and other sports to camp this summer! 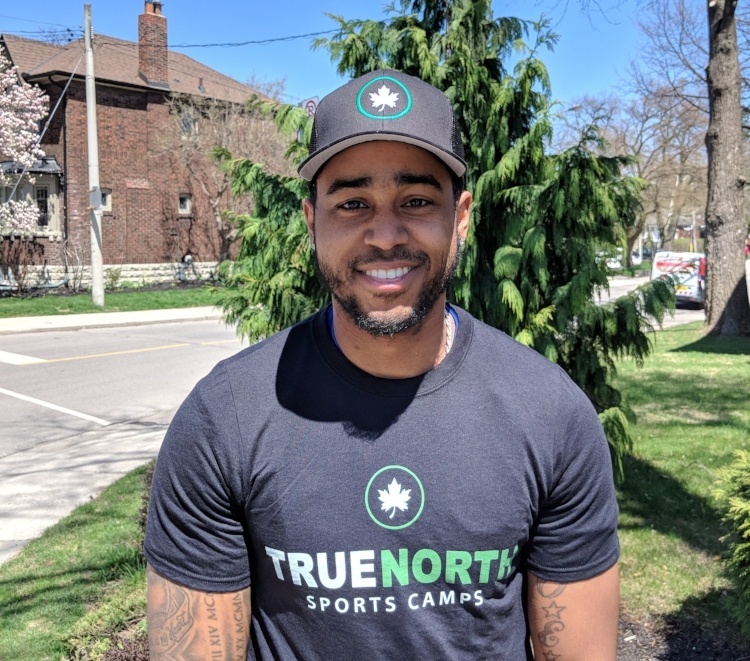 Grant is entering his fourth year as a staff member of True North Sports Camps. He played on the Lawrence Park CI baseball team throughout high school and won the coaches award in Grade 12. He currently plays at North York AA and will begin Communication Studies at Wilfred Laurier University in September. Grant is thrilled to share his knowledge and love for the game this summer. 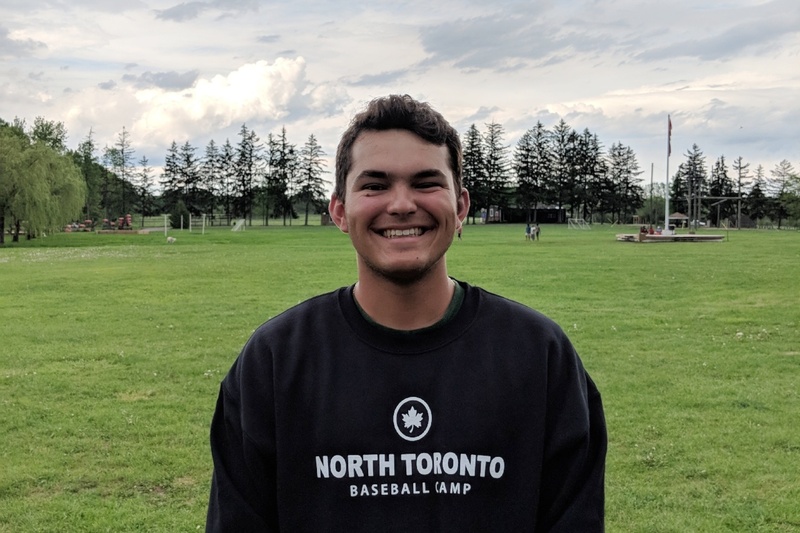 Michael joined our staff in 2013 and is currently in his second year at York University studying Health Care, where he also plays on the York U Baseball team. 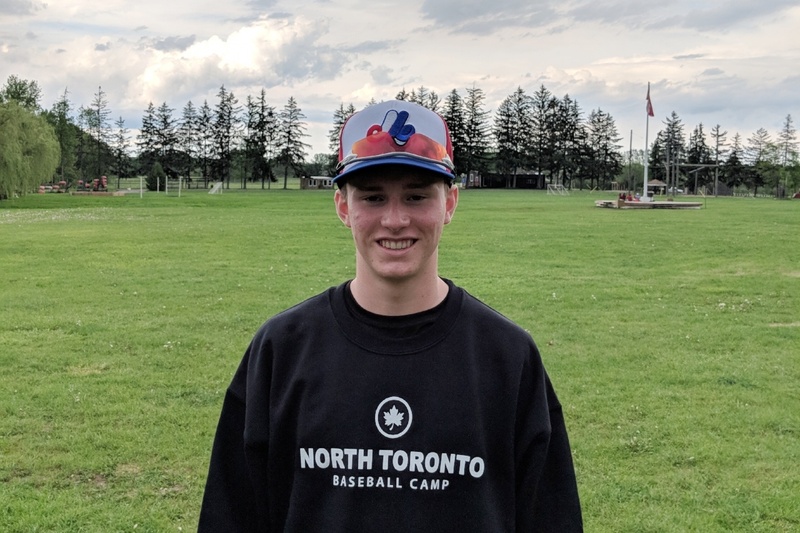 Michael played baseball since he was 6 playing t-ball and little league at High Park for 4 years before going to North Toronto where he played for 4 years. Michael went on to play one year with the Toronto Mets and ended his baseball journey playing his final 2 years with West Toronto. Along the way, Michael has won 5 Toronto Championships. In high school, Michael played four years at Bishop Allen Academy, helping them reach OFSAA in all 4 years, and earning two bronze and one silver medal in 2014, 2015 and 2016. Simon is originally from the UK where he has been playing baseball since he was 10 years old. Simon represented Great Britain under 18’s in a tour of Ireland and travelled Europe on a travel team in 2014. More recently Simon has coached all ages and levels in the UK. Away from baseball he has a Masters degree in Modern World History and is a qualified Primary School Teacher. Simon just recently moved to Canada on a working holiday last year to see and experience the world. 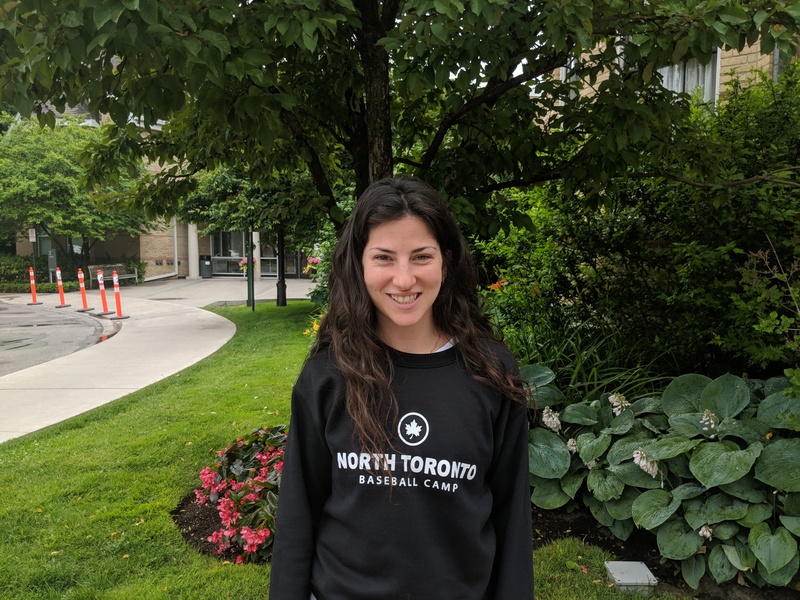 Nicole is entering her third year on staff after having spent time as a camper and CIT with North Toronto Baseball Camp. 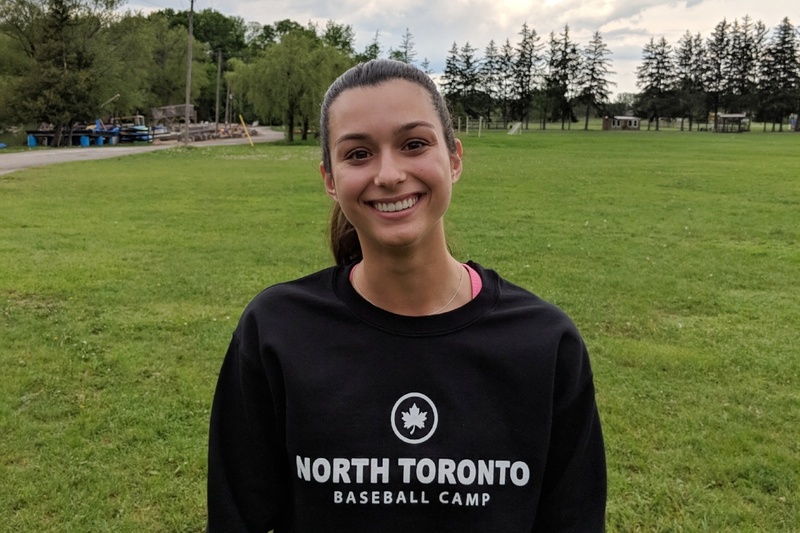 While she has tried many sports over the years, Softball has always been a favourite and is Nicole currently playing for the Toronto Fastpitch Club. Nicole’s school team has placed each year, earning 1st place twice. This year Nicole received the Greisman Cup Award from her school team for her leadership, sportsmanship, dedication and skill. In the fall Nicole will be attending Dalhousie University to study Sciences. Kali joined the TNSC team last year as a site supervisor and she has a passion for baseball. She coached softball teams while working as a teacher for the past 3 years. Kali works full time as a teacher in Kindergarten and absolutely loves working with kids! She has been working at different camps since she was 14, and cannot wait to be back for another summer with TNSC. Kali watches the Blue Jays religiously and cannot wait to bring some serious fun to Junior Camp this year. Ethan joined our staff in 2016, and is entering his second year as Junior Camp Assistant Director. He has played baseball since the age of 5 and has been on a AAA team since the age of 13. Ethan helped the Toronto Cardinals win 2 city finals and place second in the Ontario finals. 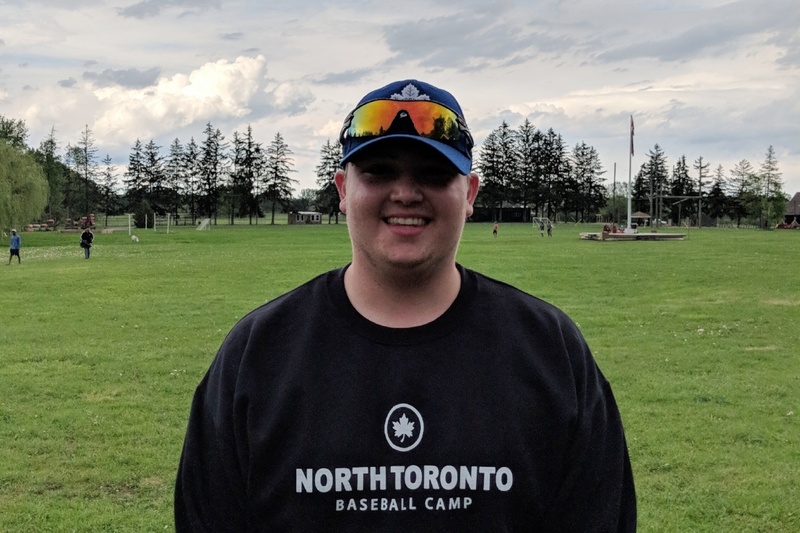 Ethan has been a starter for Northern Secondary School's varsity baseball team throughout his high school career and helped bring the Northern Red Knights to finalists in the conference championships. Ethan is excited for another amazing summer at camp.